The trading price for Northbridge Industrial Services Plc ticker lookup code: LON:NBI has climbed 7.14% or 9 points throughout today’s trading session so far. Market buyers seem confident throughout the trading session. The periods high figure was 135 and a low of 127. The number of shares traded by this point in time totalled 11,009 while the daily average number of shares exchanged is 8,278. The stock 52 week high is 154 some 28 points difference from the previous days close and the 52 week low at 107 making a difference of 19 points. 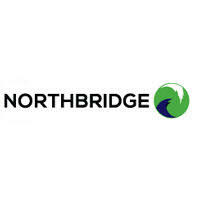 Northbridge Industrial Services Plc has a 20 SMA of 125.49 and now a 50 day moving average at 119.75. Market capitalisation is now £37.66m at the time of this report. The share price is in Great British pence. Mcap is measured in GBP. 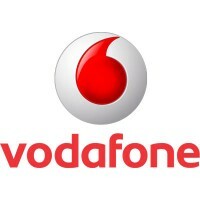 This article was written with the last trade for Northbridge Industrial Services Plc being recorded at Wednesday, March 27, 2019 at 9:34:07 AM GMT with the stock price trading at 135 GBX. Shares of Powerhouse Energy Group PLC ticker lookup code: LON:PHE has climbed 10.22% or 0.05 points during today’s session so far. Investors have remained optimistic throughout the trading session. The period high was 0.51 dropping as low as 0.47. The number of shares traded by this point in time totalled 8,250,454 with the daily average number around 11,734,064. The 52 week high is 0.73 which comes in at 0.27 points in difference on the previous days close and a 52 week low being 0.27 making a difference of 0.19 points. Powerhouse Energy Group PLC now has a 20 SMA at 0.5 and the 50 day moving average now at 0.48. 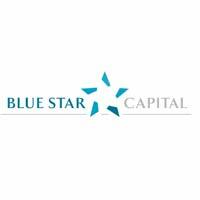 Market capitalisation is now £9.41m at the time of this report. All share prices mentioned for this stock are traded in GBX. Mcap is measured in GBP. This article was written with the last trade for Powerhouse Energy Group PLC being recorded at Wednesday, March 27, 2019 at 12:02:10 PM GMT with the stock price trading at 0.51 GBX. The share price for Johnson Matthey PLC with company EPIC: LON:JMAT has gained 1.93% or 60 points during the course of today’s session so far. Investors have remained optimistic throughout the trading session. The high for the period has peaked at 3168 while the low for the session was 3109.4. Volume total for shares traded during this period was 165,771 while the daily average number of shares exchanged is 479,592. The 52 week high for the share price is 3873 amounting to 767 points difference from the previous days close and putting the 52 week low at 2574 making a difference of 532 points. Johnson Matthey PLC has a 20 day moving average of 3179.45 and a 50 day moving average now of 3123.54. The market cap now stands at £6,127.27m at the time of this report. All share prices mentioned for this stock are traded in GBX. Mcap is measured in GBP. 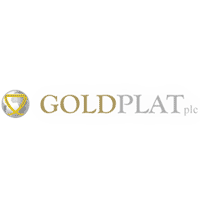 This article was written with the last trade for Johnson Matthey PLC being recorded at Wednesday, March 27, 2019 at 12:02:28 PM GMT with the stock price trading at 3166 GBX. The stock price for Legal & General Group Plc ticker lookup code: LON:LGEN has climbed 1.08% or 2.9 points during today’s session so far. Buyers have stayed positive during the session. The periods high has reached 272 and hitting a low of 268.5. The total volume of shares exchanged so far has reached 5,233,883 with the average number of shares traded daily being 16,721,833. The stock 52 week high is 289.45 which is 20.45 points in difference on the previous days close and a 52 week low being 221.8 which is a variance of 47.2 points. Legal & General Group Plc has a 20 SMA of 279.25 and now the 50 day simple moving average now of 270.6. This puts the market capitalisation now at £16,207.59m at the time of this report. The share price is in Great British pence. Mcap is measured in GBP. This article was written with the last trade for Legal & General Group Plc being recorded at Wednesday, March 27, 2019 at 12:02:30 PM GMT with the stock price trading at 271.9 GBX. The trading price for Micro Focus International plc with company EPIC: LON:MCRO has gained 3.79% or 74 points during the course of today’s session so far. Investors have remained optimistic during this period. The high for the period has reached 2030 meanwhile the session low reached 1963. The volume total for shares traded up to this point was 531,542 with the daily average traded share volume around 1,782,251. A 52 week share price high is 2030 which is 78 points difference from the previous days close and putting the 52 week low at 930.8 a difference of some 1021.2 points. Micro Focus International plc has a 20 SMA of 1914.05 and now its 50 day simple moving average now of 1732.01. This puts the market capitalisation now at £8,320.11m at the time of this report. The share price is in Great British pence. Mcap is measured in GBP. This article was written with the last trade for Micro Focus International plc being recorded at Wednesday, March 27, 2019 at 12:02:24 PM GMT with the stock price trading at 2026 GBX. The share price for Paddy Power Betfair PLC company symbol: LON:PPB has increased 1.69% or 100 points throughout the session so far. Buyers are a positive bunch during the trading session. The periods high has already touched 6058.62 dropping as low as 5915. The total volume of shares traded by this point was 248,554 whilst the daily average number of shares exchanged is just 298,382. A 52 week share price high is 9184.9 equating to 3254.9 points in difference on the previous days close and a 52 week low being 5390 making a difference of 540 points. Paddy Power Betfair PLC has a 20 SMA of 5970 and now a 50 day MA at 6163.8. The market capitalisation is now £4,707.57m at the time of this report. The share price is in Great British pence. Mcap is measured in GBP. This article was written with the last trade for Paddy Power Betfair PLC being recorded at Wednesday, March 27, 2019 at 12:02:27 PM GMT with the stock price trading at 6030 GBX. Click JMAT LGEN MCRO NBI PHE PPB for the full archive.